Currently unavailable to order. Expected to arrive in 4 days. Want to be notified when stock arrives? Whoops! That looks like an invalid email address. Thanks! We'll email you when it's back in stock. 25 grams organic and fairtrade, vegan friendly Suma Black Peppercorns. 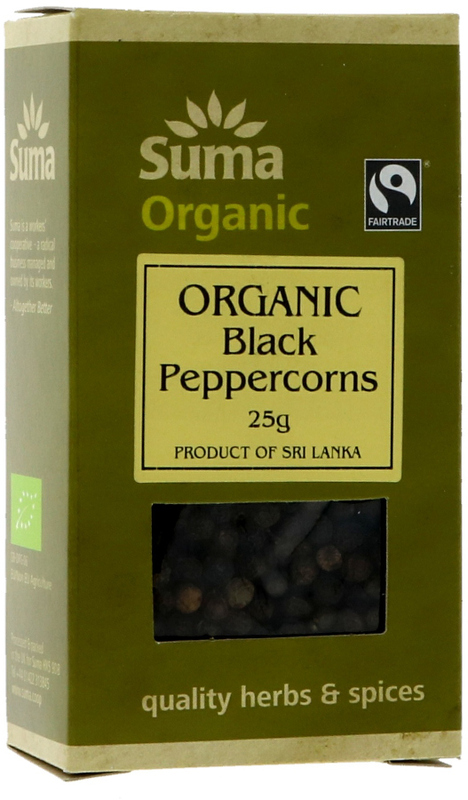 The Suma Organic & Fairtrade Black Peppercorns 25g product ethics are indicated below. To learn more about these product ethics and to see related products, follow the links below. It's good to find organic and fair trade peppercorns, though I can't tell the difference in the taste. 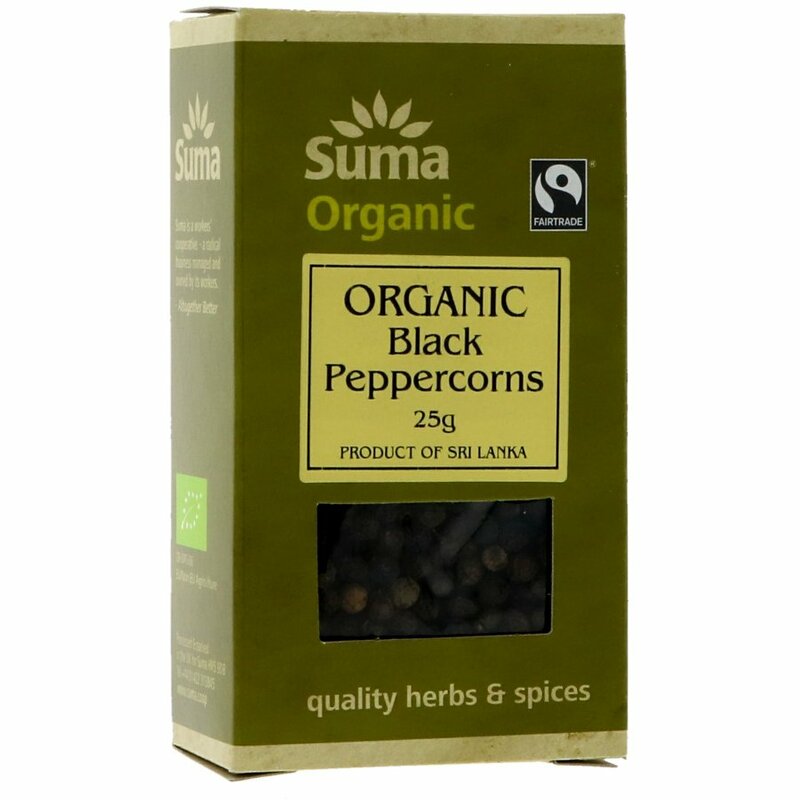 There are currently no questions to display about Suma Organic & Fairtrade Black Peppercorns 25g.